Home / Blog / Bamboo sheets vs cotton sheets: which sheets are better? Bamboo sheets vs cotton sheets: which sheets are better? Bamboo sheets or cotton sheets, that is the question. Both have very distinct merits in terms of comfort, luxury, and durability, but having all the facts may make the decision much easier when it comes time to buy. So, let’s take a deep dive into bamboo sheets vs. cotton sheets and see how they both stack up! In the case of cotton sheets, it is generally considered that a higher thread count produces a higher-quality product. Egyptian and Pima cotton has traditionally been seen as the “king” of comfort, but bamboo has many comfort advantages that cotton simply does not. Cotton sheets purport to become softer each time you wash, but bamboo is already silky-soft and will remain so as long as you own them. Multiple washings do not change their luxurious feel or texture, so you can always look forward to slipping into the sweet comfort of your bamboo sheets. Unlike cotton, bamboo fabric is breathable, hypo-allergenic, and moisture-wicking. This means that bamboo sheets will keep your body cool and dry in the summer months and help you retain heat in the winter – and it will never develop mold or mildew, no matter how humid the climate. The durability of cotton bed linens largely depends on their thread count. Lower thread count cotton sheets are not as durable and tend to pill. To ensure you have the longest-lasting cotton sheets, you often pay a premium for longer threads, but even this gives no guarantee of durability. Bamboo sheets, on the other hand, are extremely durable due to the nature of their naturally long fibers. Bamboo threads are as long as the entire sheet, rather than being made of shorter fibers woven together as cotton sheets are made. 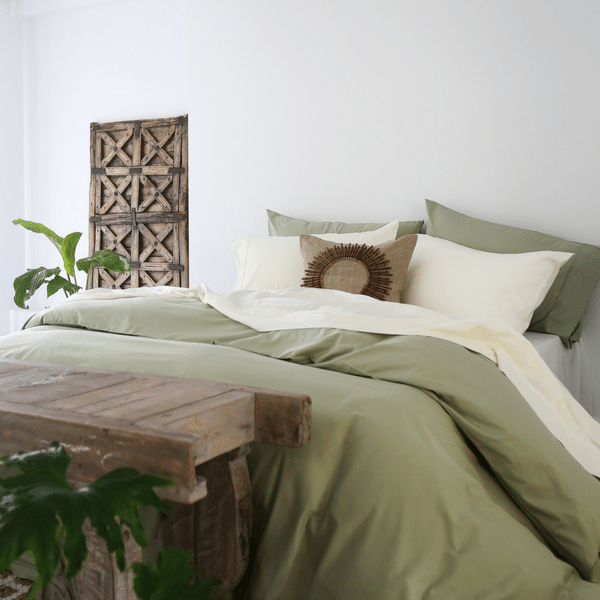 Bamboo sheets are far less likely to tear than cotton sheets, so you will be able to enjoy them for much longer. Quality cotton sheets and bamboo sheet sets are comparable in price, especially when looking at the higher end of the scale. In many cases, bamboo sheets are more expensive than cotton sheets, but it is an investment in comfort that you will not regret for a moment. The fact is, you will have your bamboo sheets for much longer than a comparable set of cotton sheets, meaning they provide much better value over the long-term. If you are at all concerned about the environment, bamboo provides many distinct advantages over cotton. Bamboo is a sustainable, renewable resource that has been proven to reduce carbon emissions. It does not require excessive water, pesticides or harmful chemicals to grow or produce it, while cotton is notoriously harsh in that regard as it requires a lot of water and is prone to various pests, requiring chemical intervention. Ultimately, the choice is yours. But if you are looking for soft, luxurious comfort, value, durability, and a product that is actually helping the planet heal, bamboo sheets is always the clear choice than cotton sheets.